Chopard Casmir, an infamously thick powdery and sugary scent that many people cannot stand, smells like a whisper of fruity tonka and powdered milk on me. 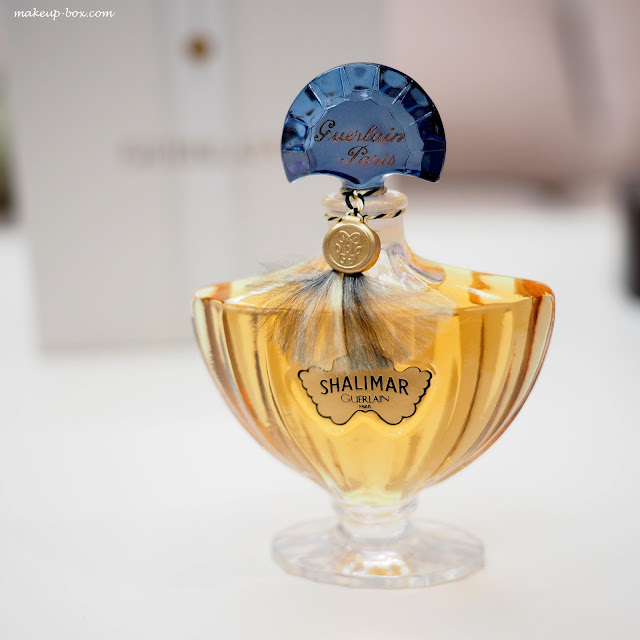 Shalimar's sillage on me is that of a luminous vanilla-bergamot; low on sugar and incense, high in flavor. I get compliments all the time and many people are surprised when I say it is Shalimar. 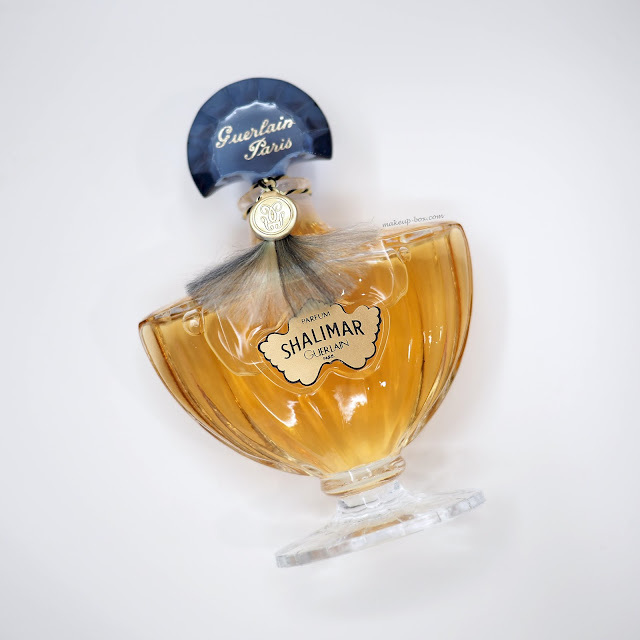 If you're not familiar with it, Shalimar is not really floral; you can't pick out the flowers but there's enough jasmine and rose in there to keep the scent from becoming straight up sugary vanilla bergamot milk shake. In fact, it's thick and rich, but not a cupcake and cookies vanilla. It's a dark, smoky, almost bitter vanilla. The thing is this can smell a bit weird out of bottle. When I smell it freshly-sprayed every note mashes together and it always reminds me of mothballs and certain brands of bug spray. But after a while on the skin, it slowly unfurls itself and comes apart in layers. Sometimes I catch a comforting smoky silky vanilla, sometimes an exotic leathery powdery opopanax (sweet myrrh). But it's always most beautiful when I get that whiff of elegant, refined bergamot backed by a subtle resiny amber in the background. This for me is a scent I never spray on my neck as that would be too "in my face". It smells best sniffed from a distance; either as a soft trail behind you, or wafting across your path occasionally when you move, so I spray on the backs of my hands, or across my torso. 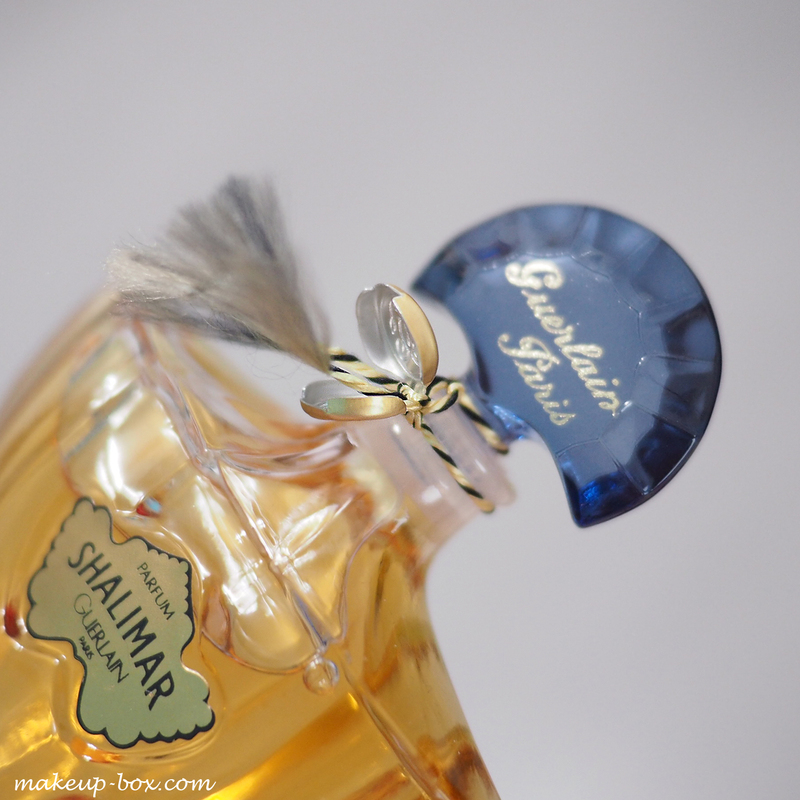 Over the years, I've bought a couple of eau de parfum versions, besides Eau de Shalimar (once called Shalimar Legere before it was repackaged in the white bottles), and more recently, the Ode a la Vanille edition which I actually love more than the regular eau de parfum, but use very sparingly since it cannot be repurchased anymore. The Parfum Initial editions on the other hand are not really like Shalimar at all to me. They're ok, but a bit forgettable in the face of the hundred and one other fruity-sweet patchoulis around these days. What I find they lack is that sense of mystery and a certain regal depth in the original Shalimar. So it was probably inevitable that I would one day invest in the 1 oz parfum extrait. For the benefit of those who may be new to perfumes and perfumery, parfum extrait has the highest concentration of fragrance, followed by the eau de parfum, eau de toilette, and eau de cologne. If you didn't know, in fine perfumery, each concentration has a different formula. It's not simply about diluting the same fragrance oils with different quantities of alcohol to make the eau de parfum and eau de toilette. That's why fans of Chanel No 5 in the parfum form may not necessarily like it in the eau de parfum bottle, and vice versa. Most will have the same "soul" but sometimes contain different notes and proportions of ingredients. So of course I had to check the parfum out for myself eventually. And I can say it is glorious. 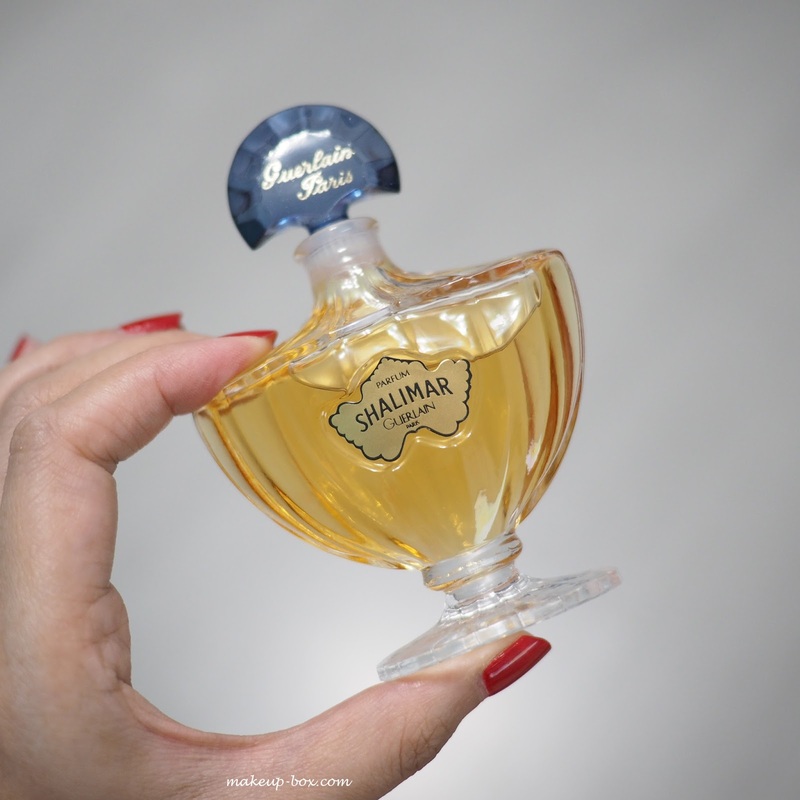 Shalimar parfum still comes in the old-style fluted flacon - not the smoother, more minimalist Jade Jagger bottle the rest of the Shalimars now come in. The scent itself is beautifully balanced. The eau de parfum can smell a little like lemon dishwashing liquid right at the start; the lemon and leathery notes clash a bit, and it takes awhile before the warm ambery vanilla comes through and acts as a peace-keeper between the other notes. Ode a la Vanille skips the clashy bit and jumps straight into the part where the scent blossoms and becomes luscious and yummy. Plus it lasts forever and a day. Which explains my love for that formula. 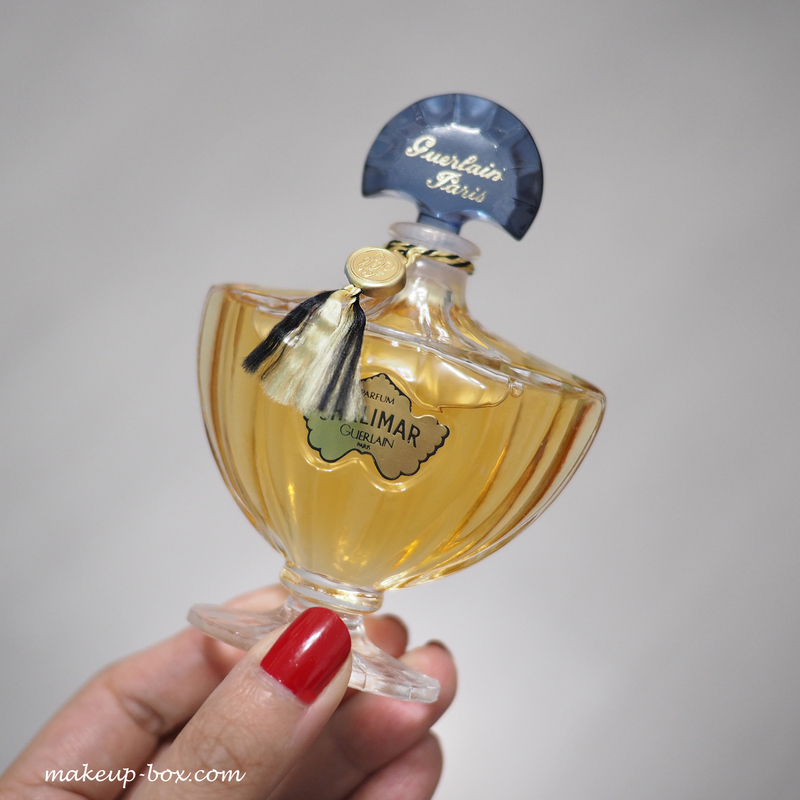 Parfum is more complex than Ode a la Vanille. The bergamot is more apparent, as are the resins in the base, but it's not as loud and jarring at the start. The leathery musky base is also more subtle, not as abrasive and harsh. It's not as strong as the other two, which is not surprising to me. The higher concentration of alcohol in eau de parfum and eau de toilette often makes them top heavy and bottom light. They come out very strong at the start when the alcohol vaporizes all the scent molecules quickly, then die down and become skin scents soon after. Parfum extraits have more consistent performance over a longer period of time. They don't come out as strong at the start, but they also don't die down as quickly. Strangely, Ode a la Vanille remains the longest-lasting Shalimar on me - although all my Shalimars last the whole day. But since it's not available for sale, there's probably no point going on and on about it. I do prefer the smell of the parfum to the eau de parfum by far, which is a bit sad since it's so prohibitively expensive. Premium perfume houses will seal their perfume bottles with a thin membrane in a process called baudruchage, and then use silk string to tie elaborate knots around the stopper (barbichage) before sealing it with a wax seal . If you happen to own any Chanels, you would have seen it. In most cases you can cut just the part of the string that binds the stopper, and use tweezers to pick the baudruchage off without removing the cute logo-ed wax seal entirely. Guerlain's is quite a bit different. My bottle of parfum did not come with the membrane so there was no picking for me to do. 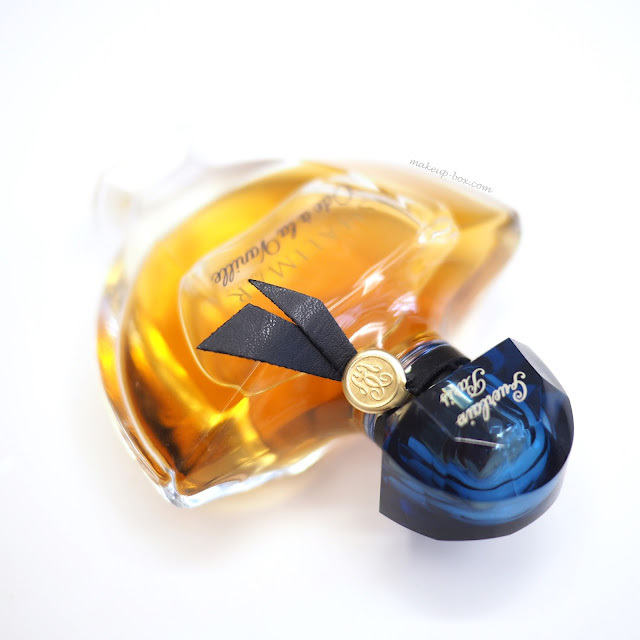 But the barbichage is a good deal more complex than Chanel's, and for awhile it looked like there was no way to unseal the bottle without cutting the gold and navy silk string. Now if that's all too much work for you, you can simply cut the string and enjoy your parfum au naturale, like below. I'm just a bit too much of a geek not to try and preserve some of the beauty of the barbichage. If you're like me - fear not. You might not have noticed it but the gold "seal" with Guerlain's logo is actually a metal clasp that is easily pried with a pin, pen-knife or tweezers. One you lift off the metal clasp, it's a matter of gently loosening the intricate knots. I again used my good ol' Tweezerman tweezers to loosen the knots and pull the string loose. After that, it was a matter of tying the silk thread back around the neck in a way that did not interfere with the stopper, slipping the clasp back, knotting the string under it, and closing the clasp again. Not quite as pretty as the unsealed version, because no matter how I tried, I couldn't fluff out the ends of the string the way the pros do, so I just trimmed the ends a bit and left it alone. Not half bad at all, by my standards! In purchasing these,Christy Turlington Face Cream it is smarter to purchase an entire set that incorporates salve, hostile to maturing cream, facial lotion and sun square.